Though it is completely concealable, the Compact offers a full grip for most shooters. The Compact offers full 16 round capacity (magazine 15+1 in 9mm), an accessory rail, low-profile slide stop, new integral and retractable lanyard loop, and a cold hammer forged barrel for ultimate precision. The Compact also houses the Px4 family’s rotary barrel system. This system allows for in-line feeding for unparalleled reliability. The rotary barrel system leads to radial dissipation of recoil energy resulting in a significant reduction in felt recoil and muzzle rise. Available in Grey color. 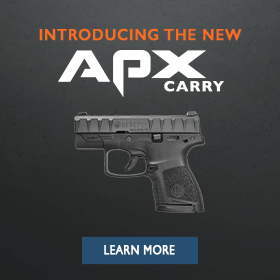 View the entire family of Px4 Storm models here.